Athletes, especially runners, are always on the lookout for that extra one or two percent improvement in their training. Lately, running circles have been enamored with compression gear – socks, pants, tights, you name it. But, does compression gear really work? Like any other supposed training aid, I think it’s critical to turn to peer-reviewed scientific research (i.e., not the sales “research” a company will pitch you) for the best answers. One of the proposed benefits of compression gear is a direct benefit to performance by enhancing aerobic threshold, increasing VO2max, and clearing lactate from the muscles more efficiently. Indeed, one study conducted on a group of six runners reported that those runners who wore compression socks experienced a reduction of nearly 26 percent in their VO2max slow component (a fairly complicated training term that is basically a measure of your oxygen uptake after you have reached your lactate threshold). Likewise, a separate study of 21 runners measured the difference in aerobic threshold and anaerobic threshold when wearing compression socks or not. The data confirmed a 2.1 to 6.2% improvement in an individual’s aerobic and anaerobic threshold. However, a study on the ability of compression gear to improve lactic acid clearance or to prevent lactic acid accumulation demonstrated that compression actually raises blood lactate accumulation. The researchers hypothesized that this unexpected rise in blood lactate was likely from a greater overall contribution of anaerobic respiration. So, while compression gear won’t directly improve your lactate clearance, it will allow you to run harder longer – and that’s what training and racing is really all about! The evidence clearly suggests that wearing compression clothing can slightly improve your performance, most notably by enhancing your aerobic threshold and VO2max. While not significant, even a 1% improvement in your marathon time could result in that last 1-2 minutes you need for a Boston qualifier. Compression socks were first touted as a recovery tool for athletes after demonstrating increased blood flow for patients with circulation issues. The prevailing thought was that the graduated compression in the calves helped facilitate blood flow to deliver nutrients to the muscles and prevent swelling. Despite the many claims by the makers of compression gear, most rigorous research has shown that compression gear does not improve recovery for athletes – at least from a physiological standpoint. One study confirmed that there were no significant difference in post exercise lactate clearance, heart rate or blood flow for athletes that wore compression gear and those that did not. However, while the physiological advantages of compression socks for recovery have been disproven, when researchers measured an athlete’s perceived level of post exercise soreness, they found that runners who wore compression socks experienced less soreness and a felt more recovered than those who did not. A second study confirmed that compression socks did not elicit any physiological benefits to recovery, but the runners who wore compression gear reported being more comfortable after training and for subsequent sessions. However, one major flaw of all of these studies is that they did not adequately control for the placebo effect. There was no way to tell if the prospect of a high-tech knee-high sock, which was obviously different than a run-of-the-mill ankle-height running sock, was independently affecting the measurements. And since the observed effects for compression socks are comparatively small, the placebo effect could be having a significant impact on the study’s results. 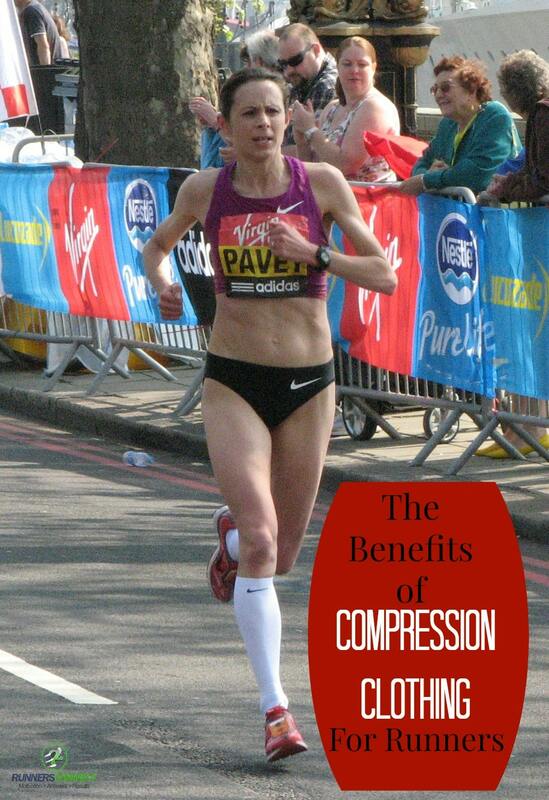 The scientific research demonstrates that compression gear does not directly improve recovery time. The researchers found no direct improvement to lactate clearance, blood flow, or oxygen consumption in the runners who wore compression tights. However, almost all the athletes who wore compression gear reported feeling less soreness after running hard and felt more recovered 24 and 48 hours post run, but this wasn’t tightly controlled. Will Compression Gear Help You. The short answer is yes, wearing compression gear during and after running will slightly improve your performance. However, compression socks are no magic pill or secret recipe for success. You can expect a slight increase in your aerobic or anaerobic threshold and your VO2 at racing speeds. However, while compression gear will not directly help you recover faster, they may reduce post exercise soreness and perceived exhaustion. With compression gear being relatively expensive, it’s really up to you and your budget on whether they are worth the investment. Personally, I wouldn’t rush out to buy them, but if you have a chance to pick up a pair of compression socks or compression tights for cheap, by all means, it certainly won’t hurt you. Medical grade compression socks are rated in millimeters of mercury or mmHg (an arcane unit, to be sure) at the ankle and calf. So a sock labeled 15-20 mmHg is 20 mmHg at the ankle and 15 at the calf. If you’re shopping for compression socks, I recommend something around 15-20 mmHg. If these numbers are a bit confusing, just remember that true compression stockings need to be sized by calf and ankle circumference, not simply by shoe size. Otherwise you won’t get the proper compression levels. Ali A, Creasy R, Edge J. Physiological effects of wearing graduated compression stockings during running. European Journal of Applied Physiology [serial online]. August 2010;109(6):1017-1025. Berry, M. J., & McMurray, R. G. (1987). Effects of graduated compression stockings on blood lactate following an exhaustive bout of exercise. American Journal of Physical Medicine, 66(3), 121-132. Berry, M., Bailey, S., Simpkins, L., & TeWinkle, J. (1990). The effects of elastic tights on the post-exercise response. Canadian Journal Of Sport Sciences = Journal Canadian Des Sciences Du Sport, 15(4), 244-248. We maybe missing the increase risk of DVT using calf sleeves following strengous exercise.